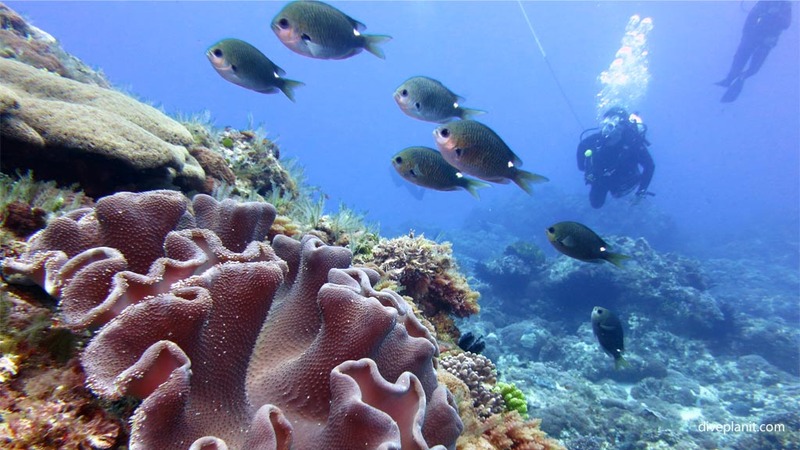 Imagine you had to design the perfect place for an adventurous scuba diver to escape to for a week’s diving holiday. You’d probably go for an island, where it’s not too warm and not too cold (maybe where tropical, sub-tropical and temperate ocean currents converge). You’d probably want a nice long reef around a lagoon, so you could dive and snorkel inside the lagoon, and explore more adventurous stuff outside in the nooks and crannies, gullies and arches. Then you’d probably give the island some sharp drop-offs for some nice submerged walls, and maybe add a few small islands around to create a variety of dive sites. 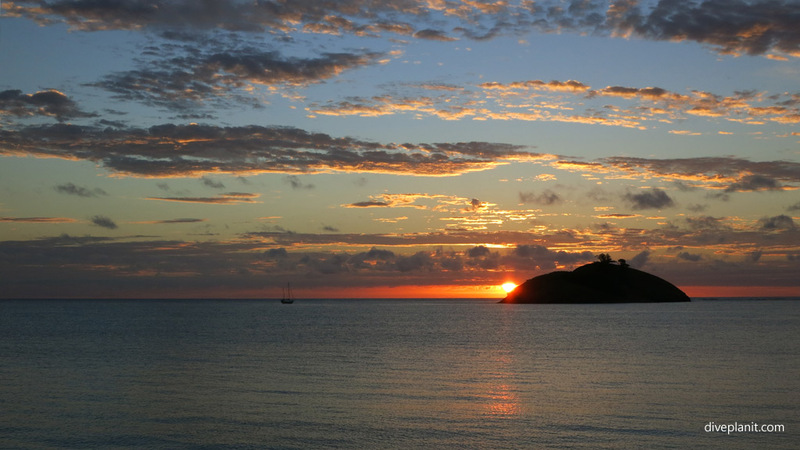 You’d probably want a beach where you could snorkel with turtles (let’s call it Old Settlement Beach), and another where you can feed fish and snorkel with reef sharks (- we’ll call that one Ned’s). To ensure we get some pelagics we’d put it on a volcanic remnant pretty far offshore with drop-offs of down to 3000m around it. Then, just to round it all off we’d put another completely uninhabitable pinnacle surrounded by its own unique marine eco-system just a tantalizingly short distance away. 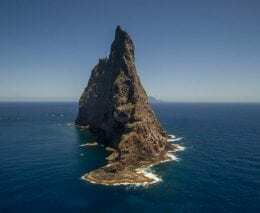 Fortunately, we don’t have to design and create it – this adventure playground is already manifest in the form of Lord Howe Island. 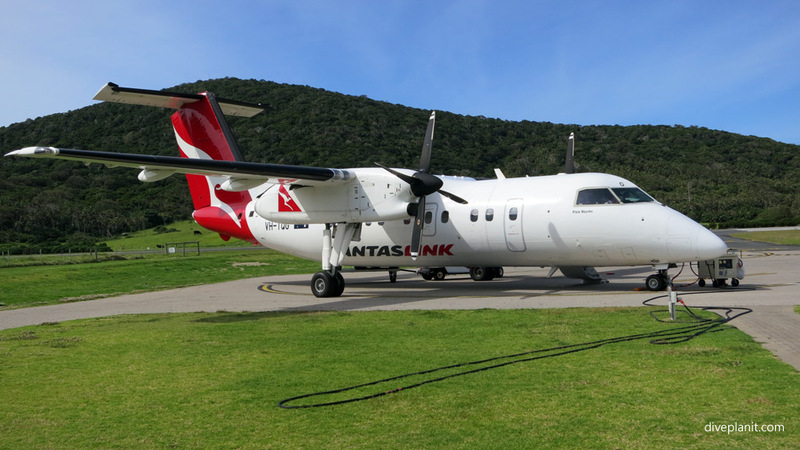 Just 700 km east of Port Macquarie, that’s 100 minutes flight from Sydney or Brisbane, and it is part of NSW. It has everything described above, and hills and mountains to climb, and a thriving community providing top-class accommodation and dining. As well as two diving operators there are stacks of other adventurous (and not so adventurous) stuff for the non-diver (and diver) to do. It rates as one of the best holiday destinations for couples where only one party dives. Lord Howe Island is due east of Port Macquarie, about 100 minutes flying time from Sydney, Port Macquarie and Brisbane. 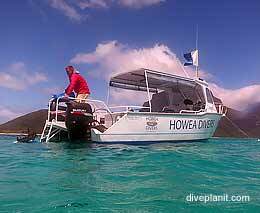 There are two dive operators on the island, Howea Divers and Pro Dive. They are both great operators – easy going, safety conscious and incredibly knowledgeable about the abundant marine life to be found here. They’re situated next to each other – literally – on Lagoon Beach in two adjacent boatsheds. 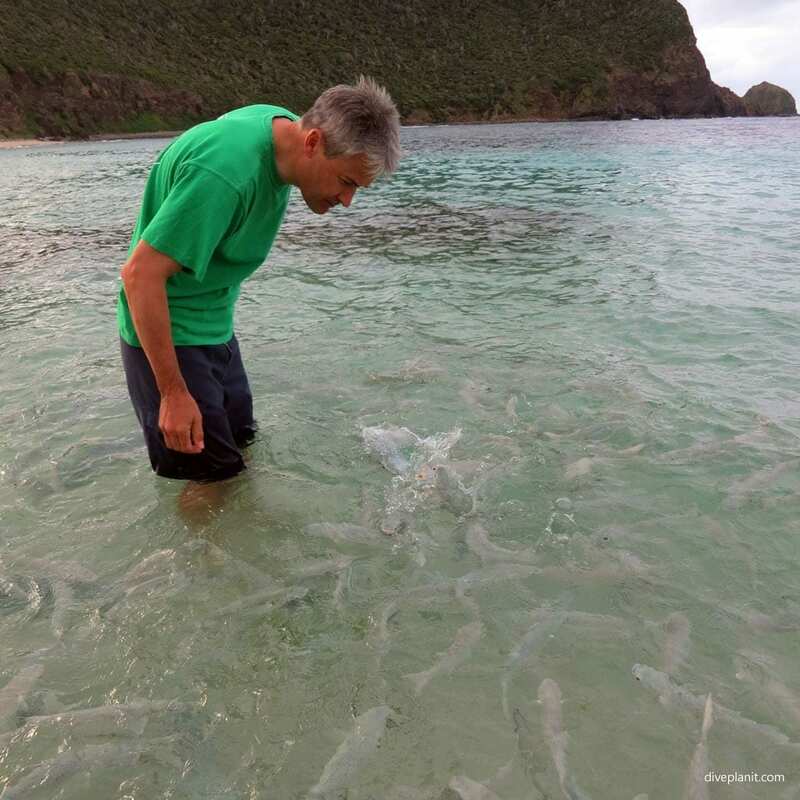 Five ocean currents converge at Lord Howe Island, creating a unique ecosystem boasting over 500 species of fish, some found only around Lord Howe. 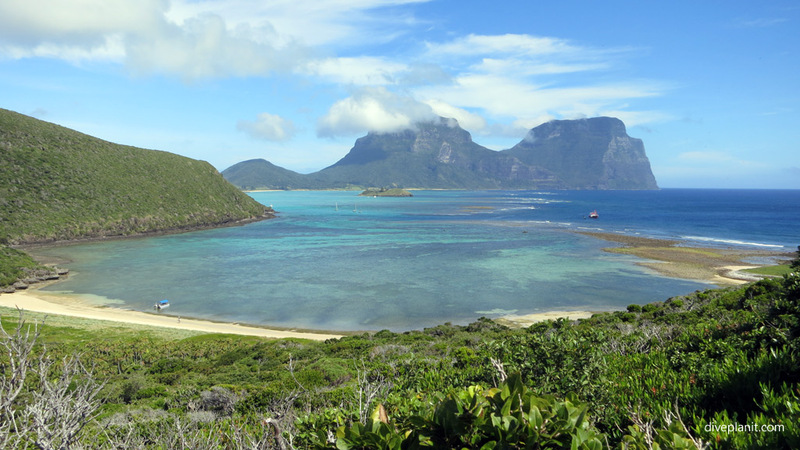 The Lord Howe Island Marine Park surrounds the island, and the archipelago is recognised by UNESCO as a World Heritage site. There are no rivers draining into the ocean, no commercial fishing in the vicinity and few tourists. 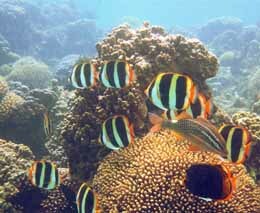 These factors help to keep the waters as clean and clear, the coral in perfect condition and fish unperturbed by divers. 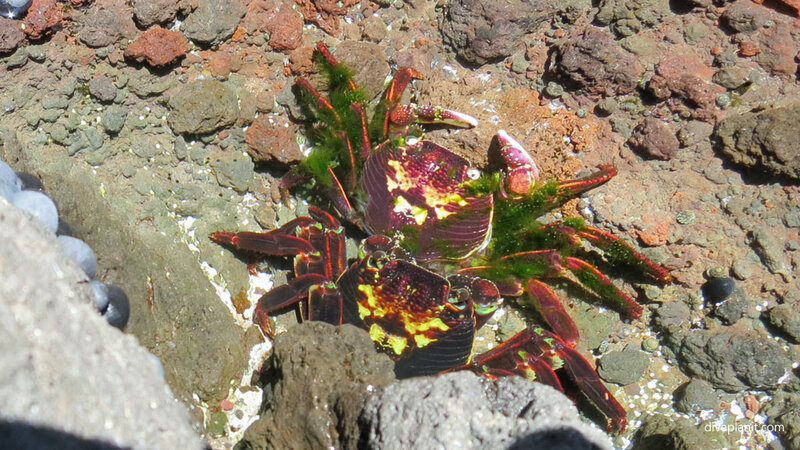 Inside the Lagoon: like diving in an aquarium, 8m max, 5 minute boat trip. Good examples: Erscott’s and Comet’s Holes. 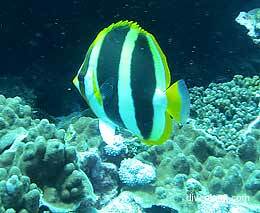 Outside the Lagoon reef: individual sites with individual features, 12 – 18m, 10 minute boat trip. Good example: The Arch – as the name suggests an arch, but also a brilliant reef and near other sites running along gullies. 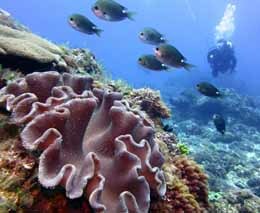 The Admiralty Islands: lots of terrain variety from steep walls and drop offs, to sloping reefs and coral covered boulders and ridges; typically 18m – 30m, 20 minute trip and 10 minutes to reccy the best sites according to conditions. All around the island: there are numerous submerged platforms and bommies, cracks, crevices and caves all around the island, around 20m – 26m, up to 25 mins by boat – some of these and what makes them interesting is still being discovered. 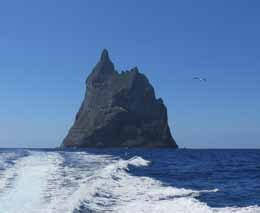 Ball’s Pyramid: world class dive site, 25 – 30m but stuff to see from the surface all the way down, 50 minute trip each way. 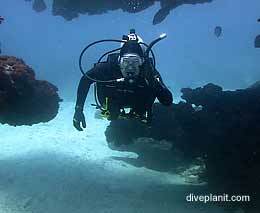 Advanced dive: trips run on demand with enough experienced divers, very weather dependent, and can be strong currents. 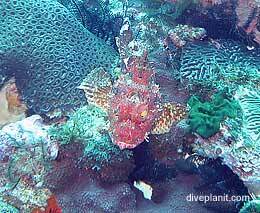 Below are some dive site examples from each of these areas. There are a couple of dozen places to stay. In almost all cases, they are family run, and so provide homely touches and the attention to detail that precipitates repeat and referred business. Pinetrees Lodge offers a variety of accommodation styles, and is renowned for its excellent, hearty cuisine. It also has a little boatshed, and honesty bar, right on the lagoon, from where you can watch the sun slide slowly and majestically into the ocean behind Blackburn Island. Somerset Apartments are conveniently located on the edge of the “CBD”. Walkable to The Lagoon, and Ned’s Beach. Spacious and well appointed – I especially like the verandas – perfect for drying off your gear. 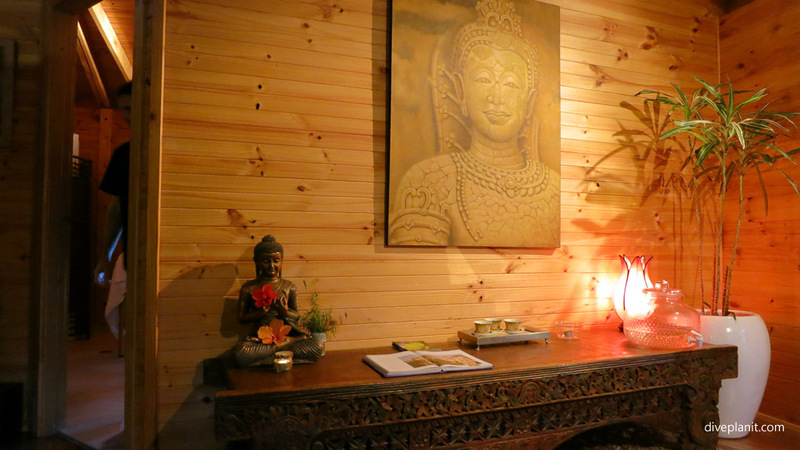 If you want peace, tranquil luxury and need a massage after your diving, look no further than Arajilla Retreat. There are just 12 suites under a canopy of Kentia Palms and Banyan Trees. 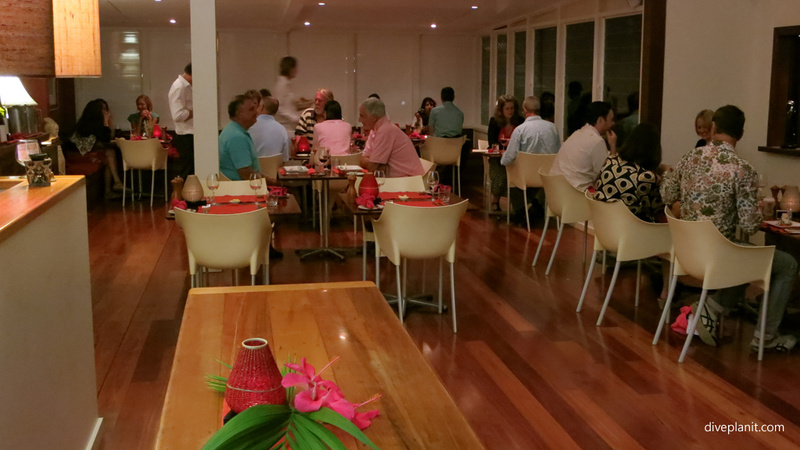 Guests are treated to seriously good food prepared using the freshest local produce and line-caught fish. For more detail on these and more options, as well as dining options, look under ‘Accommodation and Dining’ on the LHI website under Local Information, below. Many lodges have a restaurant on the same premises either as their own ‘dining room’ or a closely coupled dining option. 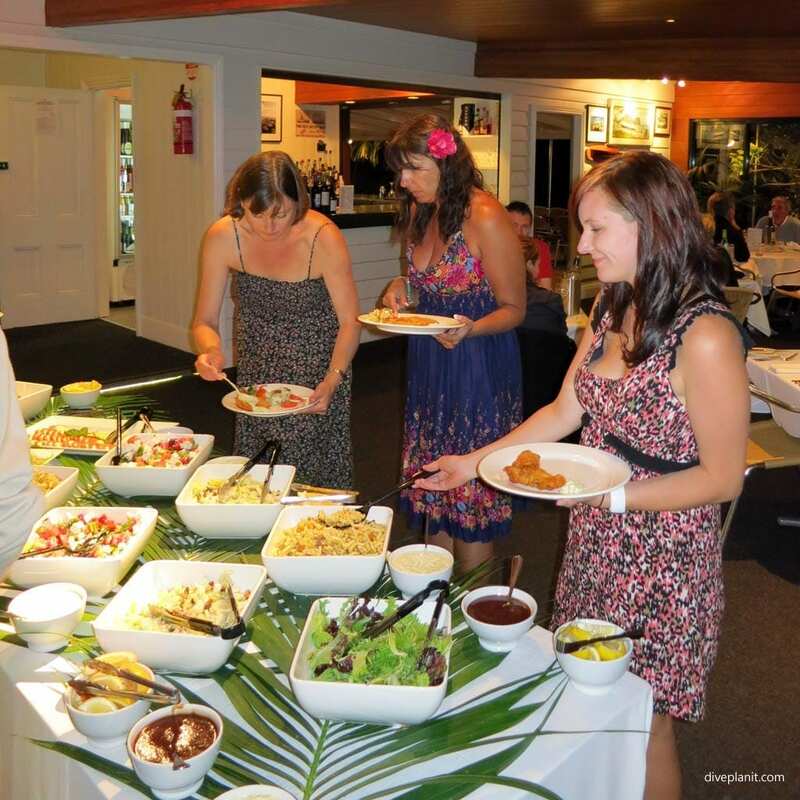 Pinetrees Lodge, for example, offers their guests a five star four course dining experience each evening. (Lighter options are also available). From breakfast through to early dinner, the Anchorage Café in the heart of the CBD will provide just what you need when you need it – whether just a coffee or full meal. The perfect place to catch up with dive buddies and share your day’s adventures so far. For something with a little zing, I would recommend Garden Court (at Lorhiti) which serves Asian and modern Australian in very chic décor. A unique Lord Howe meal, which I can also recommend is a BBQ. Dotted all around the island in the most convenient of places, like the Lagoon and each of the beaches are wood burning BBQ’s. You simple order your lunch from your accommodation, and hey presto when you turn up at the appointed BBQ at the appointed time, there is a basket filled with all the goodies you need to cook your own lunch – including the kindling – and the ice cold beer. 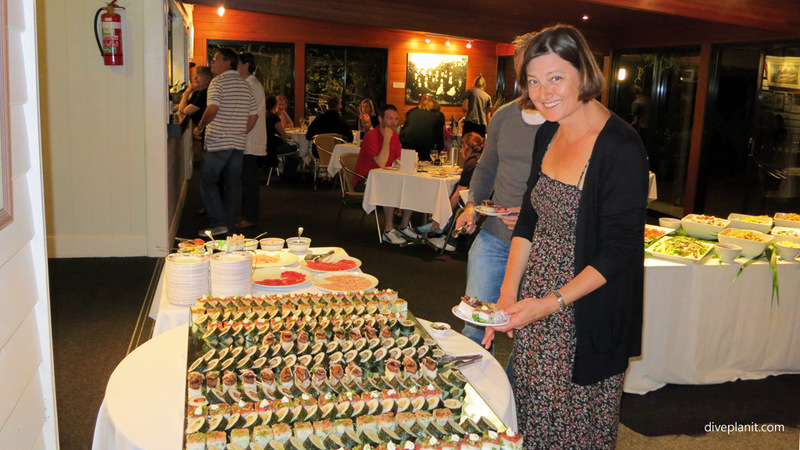 As divers, many of us regard Fish as Friends, though a culinary treat not to be missed is one night of the week at Pinetrees where an extravagant dinner of a variety of fish dishes from sashimi, to tempura batter fish fillets is served. Enquire at Pinetrees before your trip to try to work it into your itinerary. Airport transfers will be arranged by your accommodation, so you don’t need to worry about that. Once there, the easiest way to get around is by bicycle. The CBD is walkable and most of the trips depart from close by, but you can’t beat a bike for giving you that sense of freedom to explore the whole island. If your accommodation doesn’t have bikes, you can hire them quite inexpensively from Wilson’s Bike Hire (For current contact details look under ‘Things to Do’ on the LHI website below). As well as organised trips – which are required to see and understand some of the facets of this unique place – you can also just grab a bike and mask and snorkel and explore the place yourself. Here are some organised activities (followed by a list of DIY ideas). 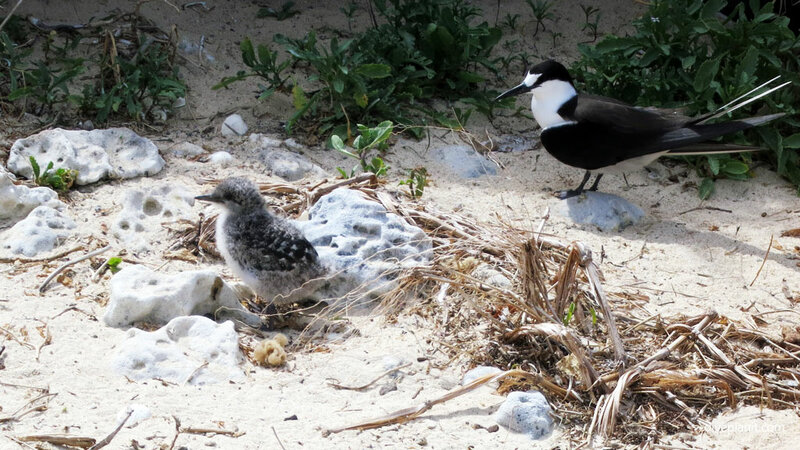 Explore North Bay with Ian Hutton for a full or half day walk to rainforest, seabird colonies and seashore, (including Old Gultch and the Herring Pools) in conjunction with Islander Cruises. Mt Gower Climb – full day hike. 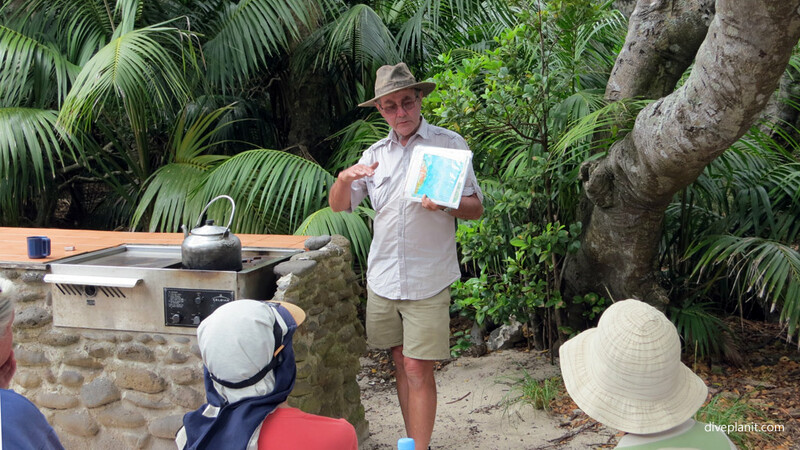 Enjoy a guided walk with Jack Shick, a fifth generation islander and veteran guide of over 1000 walks to the summit of Mt Gower (rated as one of Australia’s – and the world’s – best day walks). 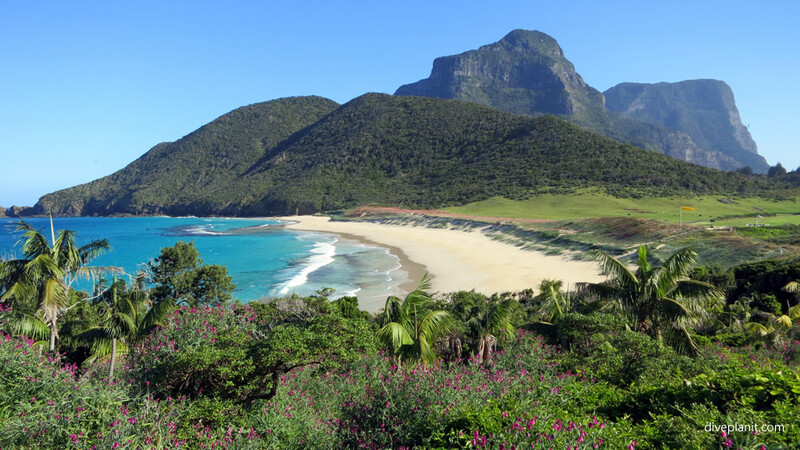 On the walk, enjoy a variety of terrain, flora and fauna, as well as stunning views and plenty of bird watching, as only found on Lord Howe. Peter Busteed organises daily North Bay and snorkelling tours via glass bottomed boat to the wreck of “The Favourite” and around the island, in addition to sunset cruises and custom excursions. 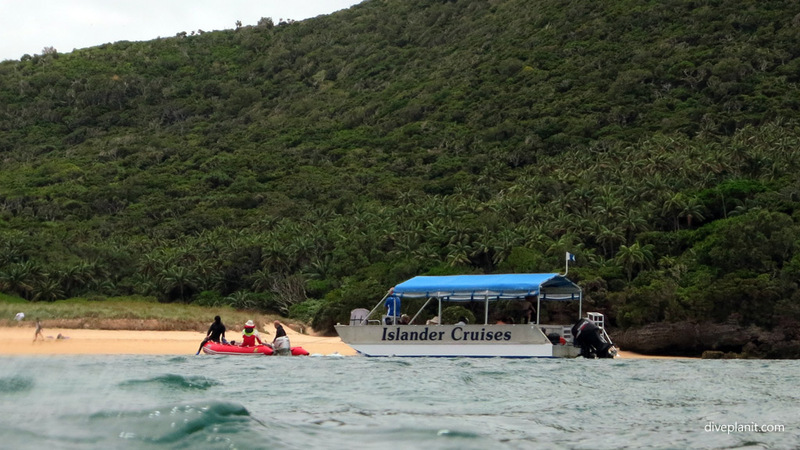 Check out ‘Islander Cruises’ on the official website. The island is laced with walking tracks, ranging from easy 30-minute rambles to hikes that take up to 3 or 4 hours. There will be a walking map in your room and your hosts can provide advice on the best walking tracks. 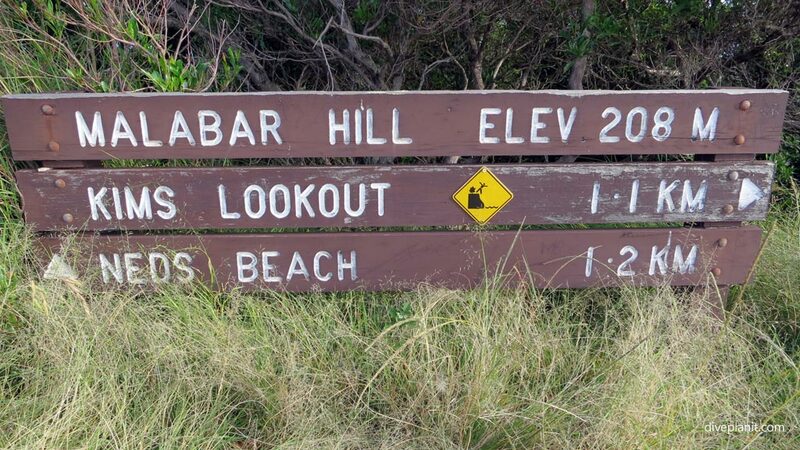 One I can thoroughly recommend is the relatively easy climb to Kim’s Lookout in the north. From the northern tip of the island I could see turtles periodically bobbing to the surface in the crystal clear waters 200m below. The island is also a mecca for birdwatchers the world over. 180 bird species have been identified here, of which 32 currently breed here, including 14 species of seabird – petrels, shearwaters, terns and noddys all visit in their hundreds of thousands. Head over to North Beach or Blinkies beach – you don’t even need a long lens (but do respect their space). On Ned’s Beach you can grab a snorkel and fins (just leave a donation in the honesty box) and enter a natural aquarium of sea mullet and black-tipped reef sharks in knee deep water. 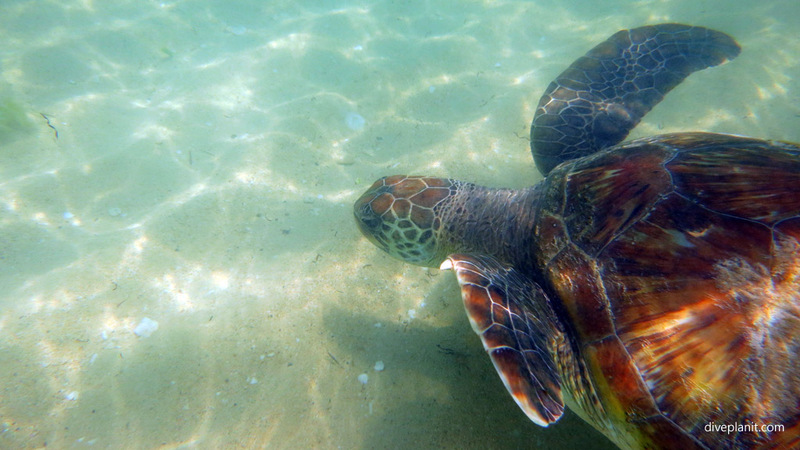 Alternately, go snorkelling at Settlement Beach – where you are almost guaranteed an encounter with a turtle in shallow water. You can also visit the island’s museum, or try Stand Up Paddle, sailing, and kayaking. Check with your accommodation for the nearest available. If you’d rather work on your tan while the kids have a splash, there are 11 safe swimming beaches on the island, each just a short bike ride from the next. There are also two world class day spas, at Capella and Arajilla resorts on the north and south end of the island (respectively). 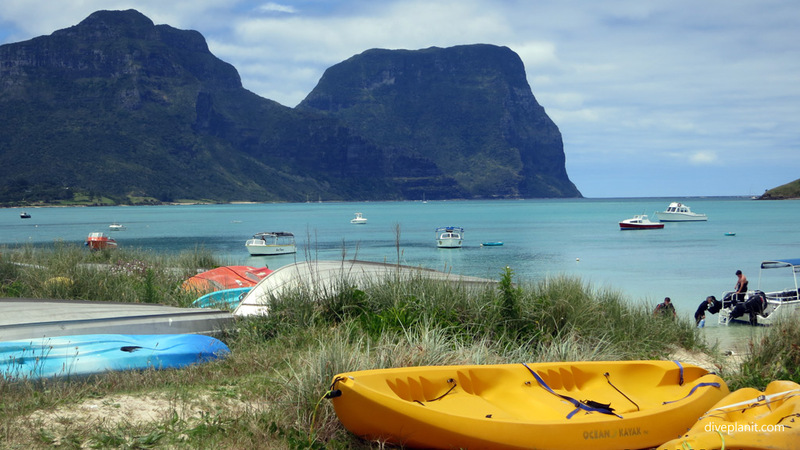 The most up-to-date contact details for many of the operators and activities are available at the official Lord Howe Island website. Many of the operators have a ‘No Lock Policy’ which applies to rooms, cars, and bikes. 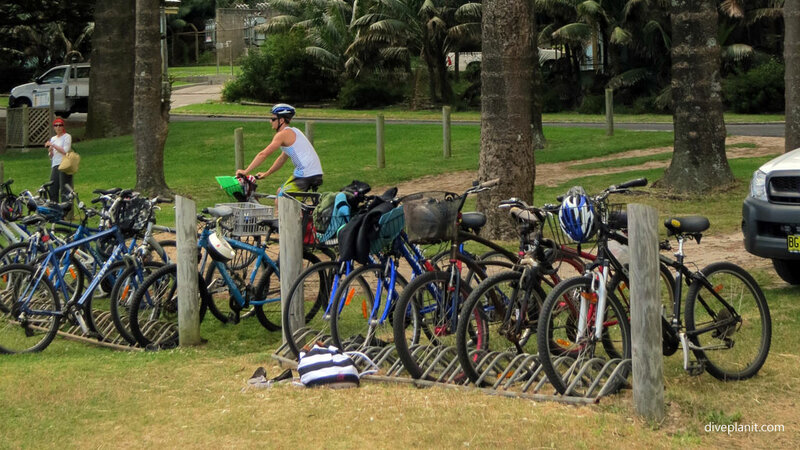 You will find an honesty box for some bars, and borrowing snorkelling gear at Ned’s Beach. There is no mobile phone coverage (the islanders voted against its introduction) and limited internet access (Hoorah!). For the limited number of cars on the island, there is a 25km/h speed limit. There are no snakes, poisonous spiders or marine stingers. Don’t take a book!! LHI is not a place you escape from … it’s a place you escape to. Make the most of very minute you’re there – even if it’s just watching the sun set over the lagoon.